As I mentioned in my last post, on the 4th of July we usually have friends and family over to swim and BBQ. It’s a day to just kick back, laugh a lot, eat plenty, have some major fun in the sun, and socialize. I usually don’t stress about what I’m going to wear for the day, all I care about is that it’s easy to move around in and versatile enough to be casual yet still stylish. 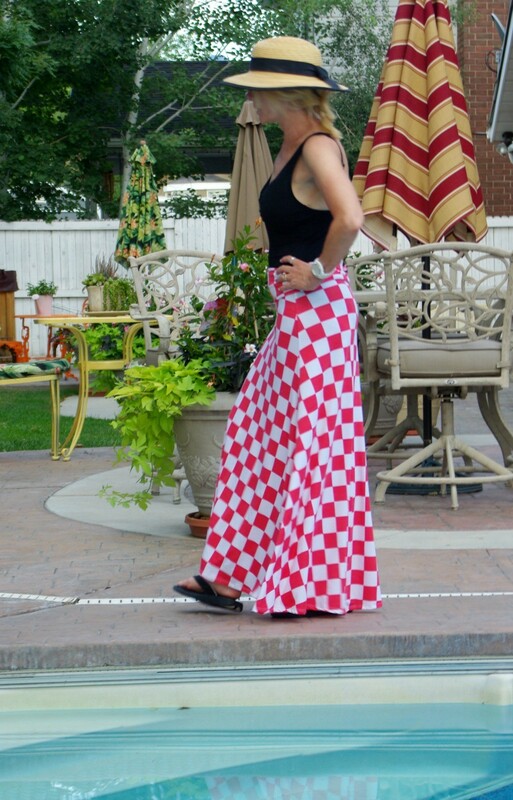 A few days ago I spotted this red and white checkered maxi skirt on LuLaRoe’s Facebook page and immediately knew it would be the perfect item for my fun filled day. 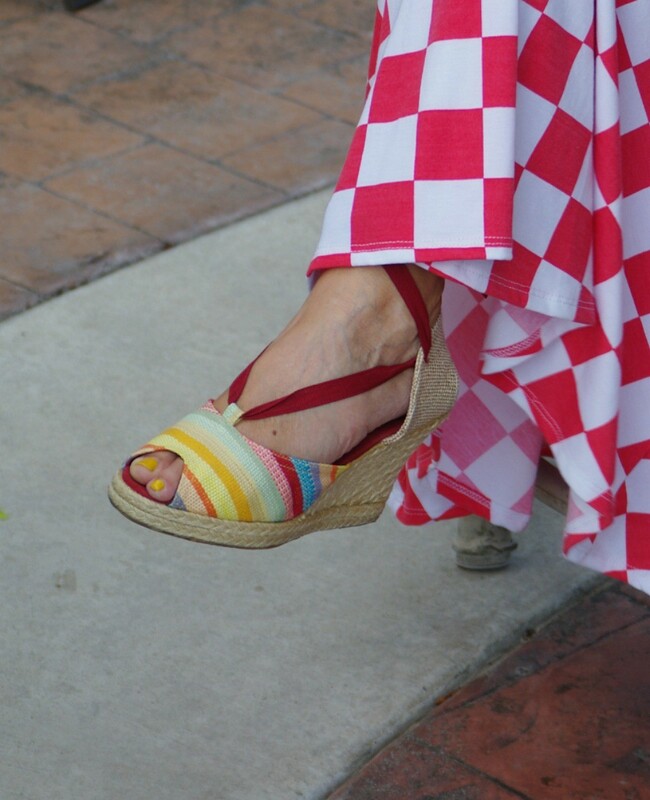 I knew I could easily have some fun with this maxi by pairing it with my espadrilles (yes, still adding the yellow) and an oversized button down, giving it a relaxed feel. Or I could go for this look . . .
and pair it with a vintage style tee . . .
accompanied by denim wedges and a denim button down for the evening. Little did I realize that it could also be worn as my swimsuit cover-up. Now that is what I call a perfect little item. So glad I jumped on over and grabbed this skirt. By the way, they have a boat load of incredible maxi skirts in an array of patterns that will get your mind spinning. And the best part, not only is the fabric absolutely incredible, they are always changing. I found the best way to purchase is to join a VIP page, pop on over to this wonderful ladies site, Kim Roylance (she is the best and most helpful associate ever, definetely knows her product as well as style). 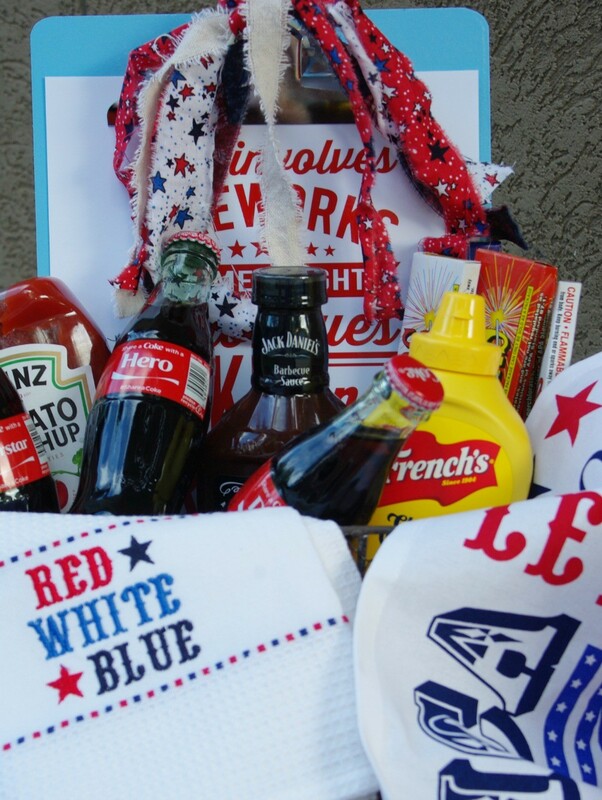 Now, as promised, here’s a fun little hostess gift or just a fun 4th of July gift to give to friends or family. 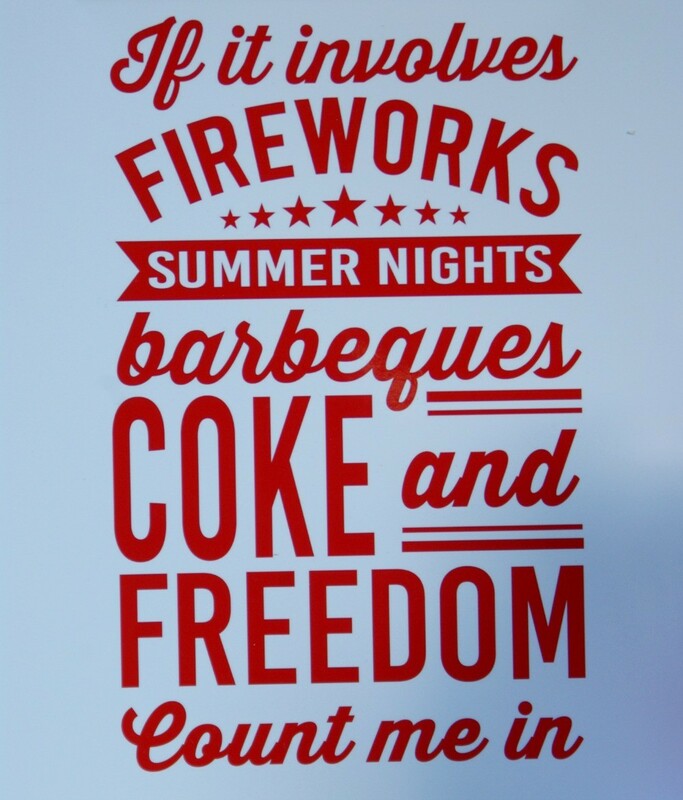 I saw this free printable a few weeks ago and since it basically fit into my 4th of July celebration idea I printed a few off. They were so dang cute I decided to glam them up a bit and ran to the store (Michael’s) and bought some clipboards and spray paint. 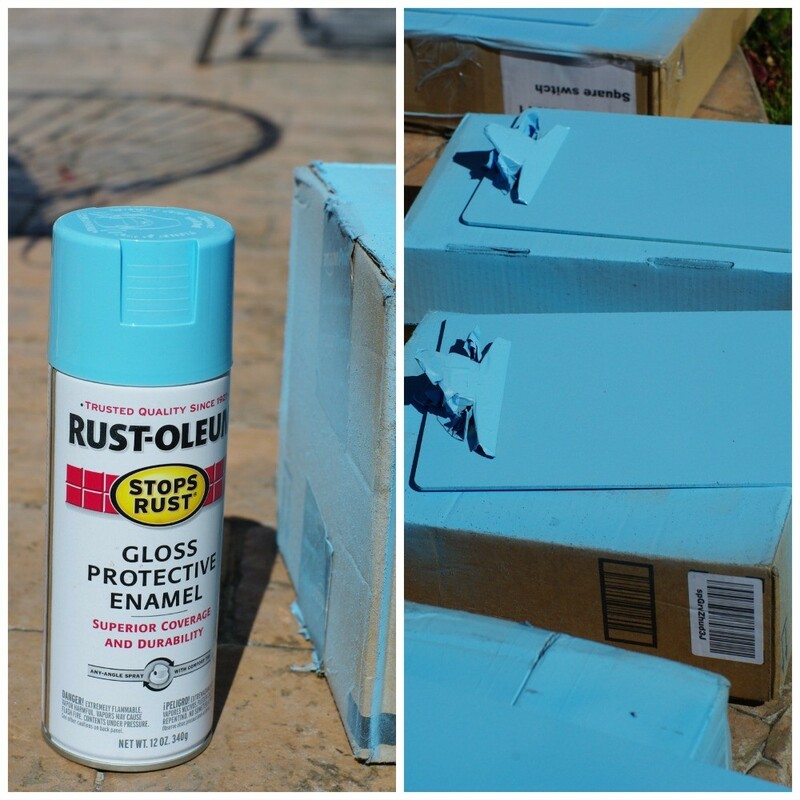 Spray painted the clipboards to use instead of picture frames. And then tied on a junk bow of torn patriotic fabric pieces. Now this alone makes a fun and cute gift. 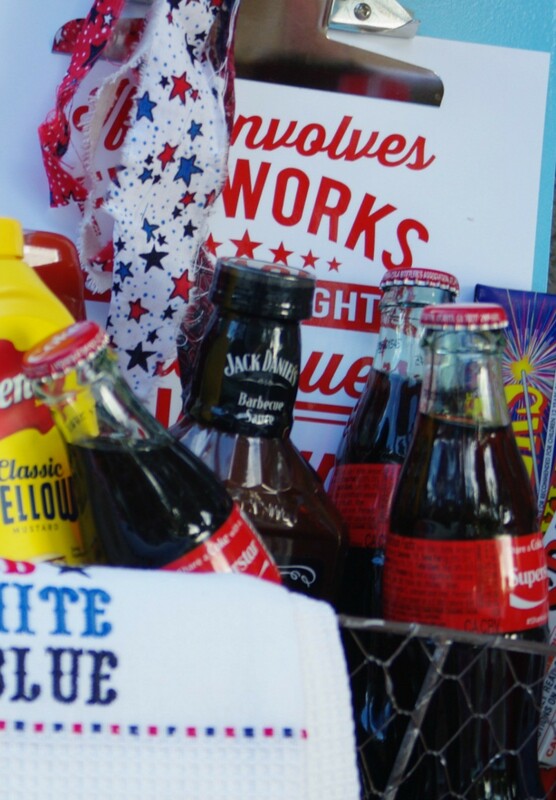 But if you want to give a bit more as a hostess gift simply fill a basket with some of the sayings . . .
and of course some coke. 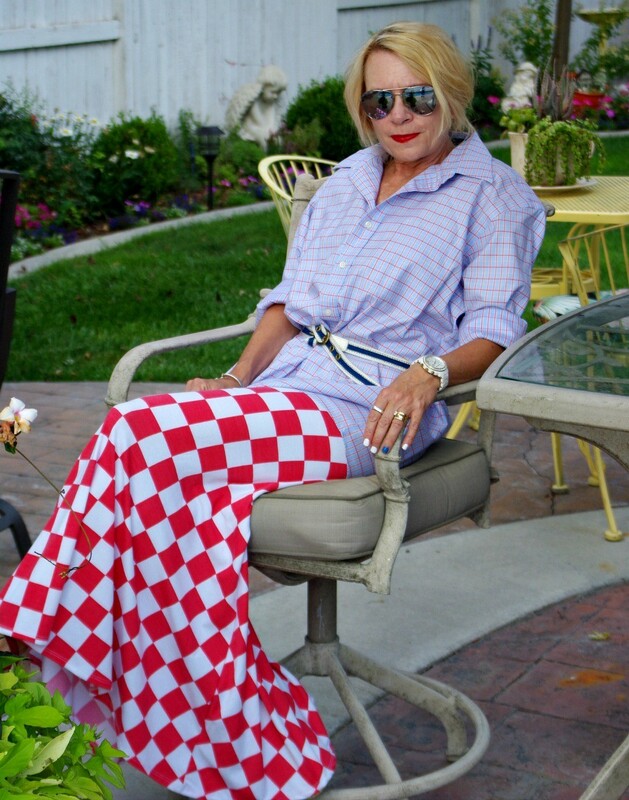 I always like to add a fun dish towel, it just brings it all together. Ok, I’m definitely ready to have some fun. How about you? 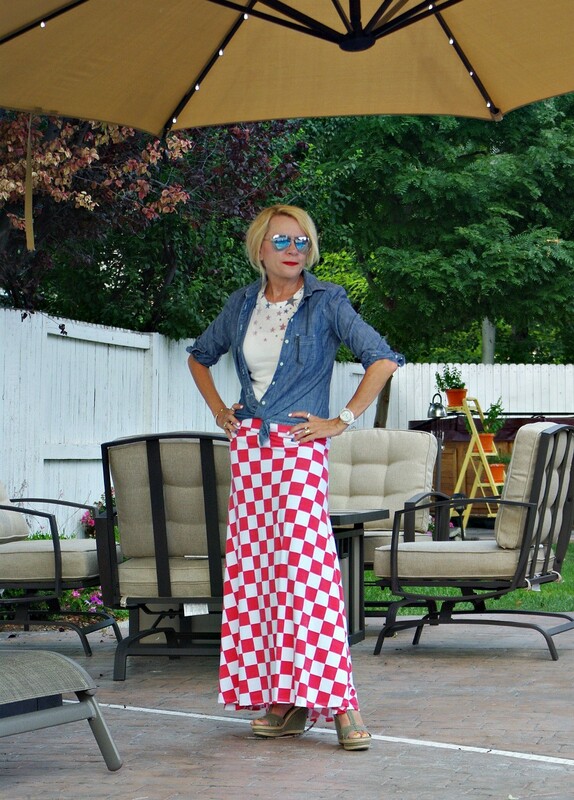 Linking up with Dawn Lucy today for her Fashion fun fridays. 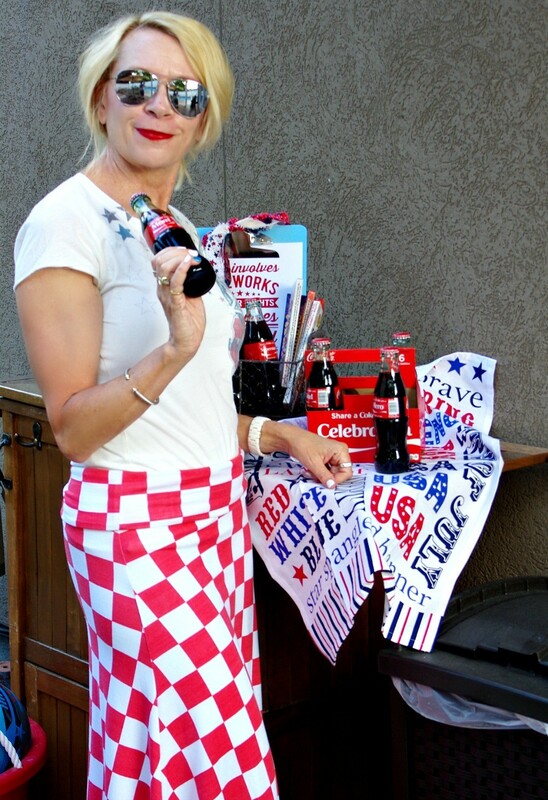 And Heather for her 4th of July and Friday link party. And of course, can’t miss linking up with Cherie for her shoe and tell. You were so right in buying this skirt. It suits you like a tee. What an incredible body you have too. OK you do the work for it and I don’t. Sigh. Love the outfit with the jeans shirts buttoned at the bottom and the skirt over your bathing suit (beautiful one by the way). Thank you, my cute friend. The 4th was a wonderful day. Thank you Anne. We had a wonderful holiday, how was yours? No facelift yet, but I think about it every day. Maybe after the summer when life slows down again. You’re looking gorgeous, my dear! Love that fun skirt! 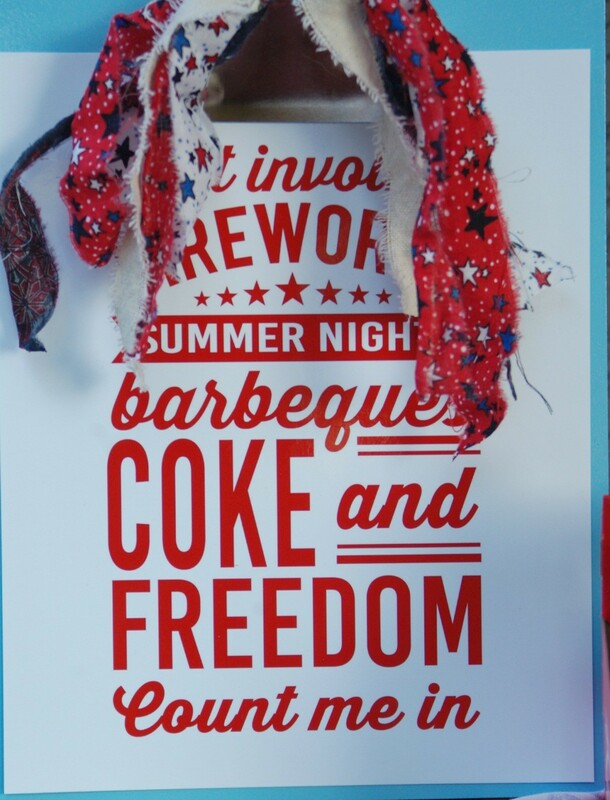 Sounds like the perfect July 4th party! Thank you Dawn Lucy and thanks for hosting your fun Friday parties. What a fun 4th of July Outfit (both of them). 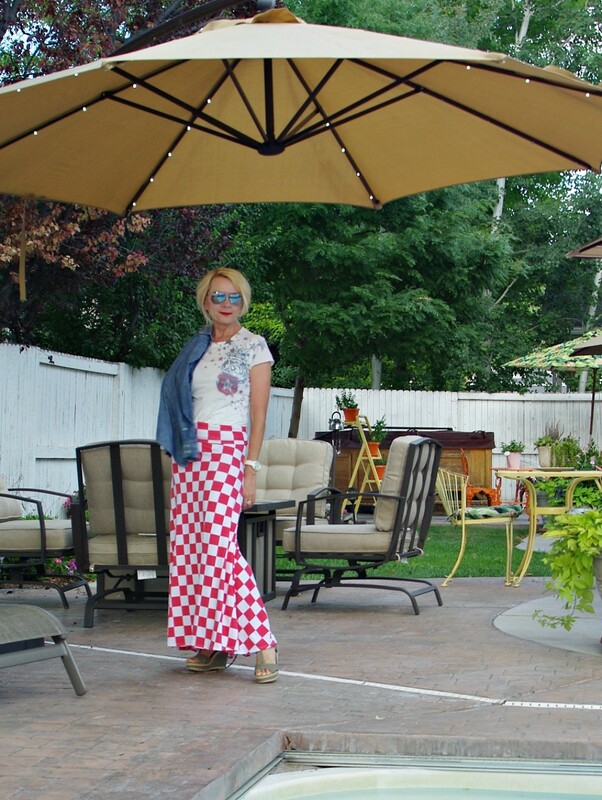 I love the maxi skirt, star t-shirt and espadrilles. You look fabulous! Thank you Ada and thanks so much for dropping by. What an inspiring outfit, especially the skirt. You seem to have an effortless sense of fun! Hot skirt! What an amazing multitasker! I love the many ways you styled it… I think it’s my favorite over your suit. Thanks for sharing at Friday Fings last week.. hope to see you again this week!